In follow to the wonderful feedback and many emails received after the last boxes had been sold, I spent the past weeks crafting and researching what would become the content of the next row of wooden seed boxes, these being numbers 31-36. 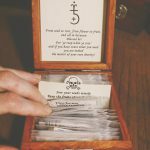 This time my focus was drawn towards magical herbs, which can be found on a blooming summer meadow and are traditionally used on the summer solstice. Many of these herbs are sown in April and May, hence the timing. Some annuals, such as poppies, you may be able to harvest already this summer, if sown now. Besides this I wanted to include some new venific herbs, to accompany the well-known nightshades and popular poison plants. In my search my attention was drawn to the spurge, more precisely the caper spurge (Euphorbia lathyris). Earlier I had been asked for spurge to use in a martial incense recipe and had trouble finding the right type. By chance I came across references pointing to the caper spurge with its poisonous milky sap, prominent size and auspicious shape. The plant seems to have been well known in Germany. It would be planted near one’s home as a protection against curses and it was used to break the spells of other witches. It was also thought to ward of moles and is hence also known as mole plant in English language. Besides this I included the wild relative of the candle larkspur, named field or rocket larkspur (Consolida regalis), with its lovely deep blue flowers. The flowers are used in protection spells and the herb is planted to protect the home, similar to the closely related delphinium. The rocket larkspur is unfortunately in decline due to intensified agriculture. Another reason, to include it here. A threatened herb with strong healing attributes is the lovely centaury (Centaurium erythraea). It has been attributed a plethora of benific properties and is rare to find in the wild these days. I am thus happy to have found a supplier of seeds for this rare healing herb. Another old and perhaps forgotten about healing herb of antiquity, which is now experiencing a renaissance is the wood betony (Stachys officinalis). Likewise the motherwort (Leonurus cardiaca) was a popular healing herb in medieval times until interest in the plant declined. It makes for a nice background plant with other purple and pink flowering herbs and interesting addition to the ‘witch’s garden’. In selecting the herbs I also paid attention to the 13 plants described in Harold Roth’s book “The Witching Herbs” (signed copies available here) and thus included seeds for each. 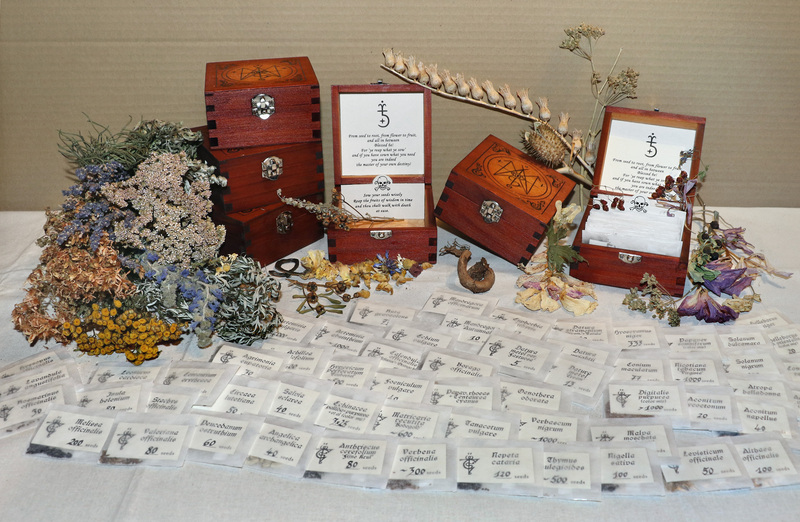 Altogether there are now seeds for over 50 different sorcerous benific and venific herbs contained in one box. The box itself is pyrographed stained and varnished by hand. 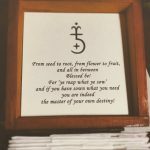 The sigil on the box is the “Sigillum Major” or “Greater Sowing Seal”. It includes references to the work with plants, crossroad symbolism etc. and is also used as the official logo for Teufelskunst. 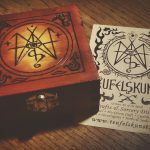 The sigil inside the box is called “Sigillum Minor” or “Lesser Sowing Seal” and is an abbreviated form of the former, traceable in one stroke of a line. Each box is numbered on the bottom. Printed sowing instructions in tabular form are included with each box. For detailed information on each herb please visit my plant blog. Update: The boxes are sold. You can still e-mail me for the complete list of seeds contained in this series at info@teufelskunst.com. I will work on 4 more boxes this spring to round up the number before the summer solstice. Than that’s it for a while. Available are boxes #23-26. They will contain again a fertile mix of seeds from various benific and venific herbs. Four boxes are available, three of which are already reserved. For those that will not receive one this time, I plan to craft a few more until Samhain. If you want to make sure to get your hands on one, then I recommend placing a reservation now.